St. Marks National Wildlife Refuge is on the shores of Apalachee Bay, in northwestern Florida, about 20 miles south of Tallahassee. Established in 1931, the refuge contains about 64,000 acres of salt and brackish marshes, hardwood swamps, pine flatwoods, and pine-oak uplands; parts of which are in Taylor, Jefferson, and Wakulla Counties. 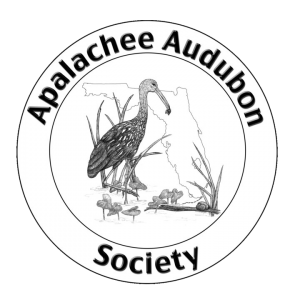 An additional 31,700 acres of water in Apalachee Bay are included as part of the refuge through a Presidential Proclamation. St. Marks Refuge provides an extensive wintering habitat for waterfowl and is one of the earliest such areas acquired by the Government. The seasons bring about marked changes in both species and abundance of birdlife. Best opportunities for observing the greatest variety and number of birds are during the fall and spring. Waterfowl are most easily seen on the refuge from mid-November through late December. Shore birds are most common during late spring and early fall. Take care not to disturb nesting birds. This exposes eggs and young to extreme temperatures and predation. Disturb wintering wildlife as little as possible, particularly during critical feeding and resting periods. They need all of their energy reserves to withstand the stresses of harsh weather and migration. Do not litter. Many birds die when they become entangled in fishing lines, 6-pack rings and other trash, or when they mistake garbage for food. This checklist contains 277 species of birds that are considered part of the refuge's fauna. If you observe any accidental or discontinued birds, please notify a refuge employee. This list is in accordance with the A.O.U. Checklist as amended. Enjoy your visit!